“Golden Child,” by Claire Adam — a debut novel about a father’s tough choice — is only the second book published by Sarah Jessica Parker’s imprint, SJP for Hogarth. The novel begins as Clyde half-heartedly searches for his missing son, Paul. Through these first chapters of lackluster searching, we learn that Paul is “slightly retarded,” has a twin, Peter, who is considered a genius, and his family was recently robbed by bandits. These first chapters illuminate the stark differences in how Clyde feels about his twin boys, even from their birth: Peter is “the good baby,” while Paul is nothing but “the other one.” As the novel progresses, the two sons receive the same education at some of the best schools in the area, due to Peter’s high test scores, but only at their mother’s refusal to separate the twins to different schools. Clyde accommodates his wife’s wishes by persuading the principal of a highly ranked school to allow Paul to join Peter, but Clyde continues to have faith only in Peter. While the descriptions of Trinidad, where Adam was born and raised, are illustrious, the descriptions of the characters lack the same careful crafting. 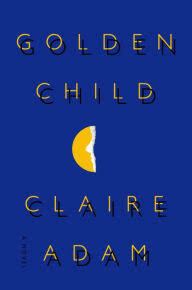 Although highly anticipated, promising a tale of family and tragedy, “Golden Child” doesn’t live up to the hype. 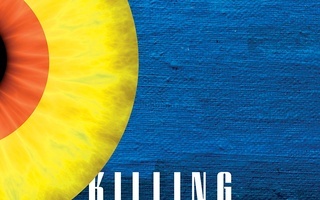 The novel’s discussion of learning disabilities is truly lacking in anything significant or beneficial, an issue that is only exacerbated in all the scenes where a nuanced conversation could have easily taken place. A teacher, Father Kavanaugh, takes an interest in Paul and believes that those who taught Paul before just hadn’t “tried the right way.” At first it seems like this plotline will blossom into a touching story where Father Kavanaugh helps Paul learn — and learn to believe in himself — but this moment is quickly forgotten and only briefly mentioned later to explain Father Kavanaugh’s frustration at Paul’s lack of progress. Adam seems to perpetuate a sort of hopelessness for those who are born with learning disabilities. As if that weren’t bad enough, the ending of the novel leaves a bad taste. Clyde is forced to make a Sophie’s Choice between his sons, except instead of both lives on the line, it is Paul’s life and Peter’s Harvard tuition. Clyde’s final choice is gut-wrenching, but the novel ends before he can explore the emotional consequences of his decision — there are only a measly 10 pages dedicated to the aftermath. 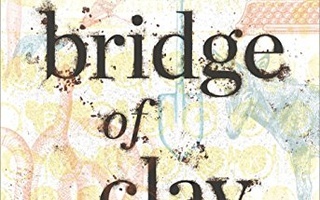 An abridgement of the first 200 pages and an investigation on the repercussions of Clyde’s decision would have strengthened the novel’s emotional depth. Instead, the reader is subject to countless pages of petty familial squabbles. Fortunately, Adam does have a true sense of place and a knack for describing it. The description of a place that is not often featured in popular literature makes “Golden Child” unique. Early on the reader is plunged into the world of Trinidad as Adam inundates the pages with region-specific wildlife like “agouti,” and “keskidee.” Furthermore, she captures the Trinidadian dialect in the dialogue. The well-written setting is the novel’s one saving grace, keeping the slow middle section mildly interesting. However, the setting alone is not enough. 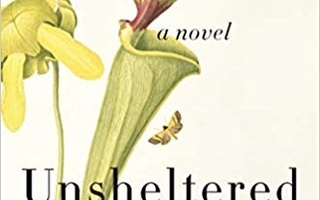 Although the premise promises a thoughtful and heartbreaking look at family facing difficult choices, the novel is sorely hurt by the expectations set for itself. Adam fails to tackle the topic of learning disabilities in a poignant way, instead leaving a sense of hopelessness with no real discussion of the consequences of a parent’s treatment of their children. This novel could have offered so much, but failed to deliver. 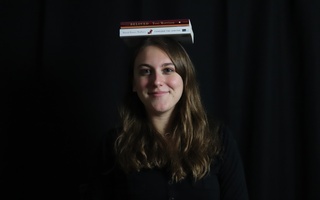 —Caroline E. Tew can be reached at caroline.tew@thecrimson.com. Follow her on Twitter @caroline_tew.